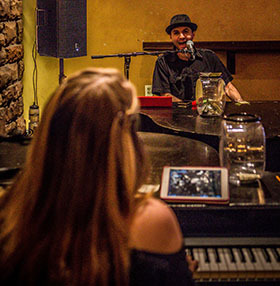 To book the PREMIER Dueling Pianos in Orlando or anywhere in Florida, Contact us! "What a fabulous addition to our daughter's wedding celebration!" Thinking of getting a DJ or a band for your wedding reception? As a newly engaged coupled, that’s probably the first thing you’ve considered. 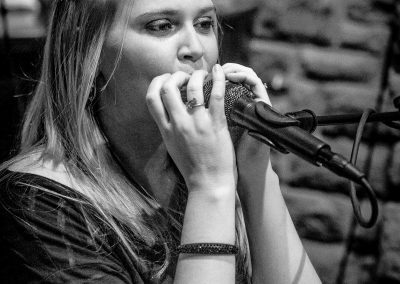 Wouldn’t you rather WOW your guests with an unforgettable live music experience? That’s what you get with Dueling Pianos. We bring our baby grand pianos to your wedding reception. We coordinate with your venue and/or wedding planner so you don’t have to worry about anything. We will get your lineup of first dances and toasts so everything will be scripted according to your preferences. We will also bring request slips so that once the dance party starts, we will play any songs you and your guests want to hear and dance to. Check out our song list to see what we can perform. We know you want to dance to the Cupid Shuffle and the Cha-cha Slide at your wedding, just to name a few. Can’t imagine those songs played on the piano? With our DJ services, we provide original tracks mixed in with live music to create a fun atmosphere for all ages. You tell us which songs to have ready, either ahead of time, or on the spot, and we’ll fit them into the party! Choosing the right music for your wedding ceremony can make the difference between a musical experience you’ll never forget and an experience you want to forget! Most wedding venues do NOT provide music, let alone a sound system for your guests to comfortably hear the soundtrack of your big day. Some venues will rent the system, leaving your maid of honor with an Ipod she is supposed to play at just the right time (this is a true story). Wedding DJs will cover your wedding ceremony music, but of course only for an extra fee. With Premier Piano Shows, your wedding ceremony is bound to be one of the most memorable of a lifetime for your guests. The soundtrack of live music (with a customized playlist from your and your spouse-to-be’s requests) will consist of any combination of classical, pop, or R&B music set with vocals or simple instrumental piano versions. Why settle for a track on an Ipod? Imagine a live version of Pachelbel’s Canon in D or a beautiful instrumental version of John Legend’s All of Me as you walk down the aisle. Your wedding ceremony literally becomes the wedding you’ve always dreamed of, with any of your requests from Premier Piano Shows Dueling Pianos. Want to make your guests cry even more? Add a violin, trumpet, sax, or guitar for that extra-nice touch. We provide any types of musicians to satisfy your live music cravings for your wedding ceremony in Florida or Arizona. Premier Piano Shows can bring one or two pianos for your ceremony, or bring an arrangement of string musicians. We will customize an ensemble to make it special for you. Still unsure about live music? Add a personal touch at your wedding with our personalized singing telegrams. 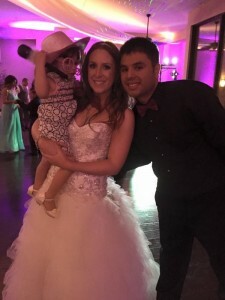 Anything that an Orlando wedding DJ can play, we can too. In fact, if you want us to play certain songs off of an album (rather than on the piano), we are happy to mix in tracks so that our dueling piano show will have even more variety than we normally do. We will meet with you well in advance of your event to outline everything down to the minute. If you don’t have a wedding planner, we are happy to provide those services to you and recommend our trusted vendors. No worries about figuring out how to plug your Ipod into a speaker, or if your wedding venue is even providing that for you. With Premier Piano Shows, dueling pianos fits into your wedding perfectly, with speakers and microphones for your ceremony and reception. 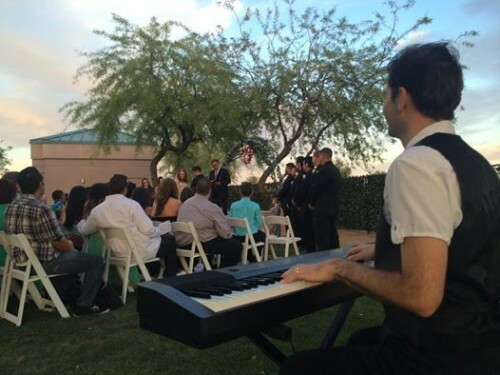 Dueling pianos can be set up anywhere for your wedding, indoor or outdoors. Premier Piano Shows provides an all-inclusive package, comprising live instrumental piano music for your wedding. Find out more about how we can make your wedding reception awesome!